Seeking support with these problems, E.I. *, a young resident of Quba Region of Azerbaijan, turned to the Resource Centre – a centre where vulnerable citizens are provided with free legal support. Thanks to her lawyers' efforts, E.I. not only managed to make her ex-husband pay his maintenance, but even managed to increase the amount he pays, based on the fact that her child has hearing problems and is therefore legally entitled to more financial support. They also managed to obtain written permission from her ex-husband to take their child abroad if the treatment was necessary. “The support I received at the Resource Centre exceeded all my expectations. I was hoping that they would help me get the maintenance I was supposed to get but the fact that they managed to increase the amount was a pleasant surprise! Life in rural areas is not easy and every penny counts,” says E.I. “Now that I have the guarantee of receiving the maintenance and written permission from my ex-husband to take my child abroad, I will try to collect together some money and take my daughter to Iran for the treatment,” she adds. To help E.I. 's mother, who has a severe disability, the lawyers managed to get her the benefits foreseen by the law and free treatment at health resorts in the country. Her mother has already undergone one course of treatment and will have another one soon. 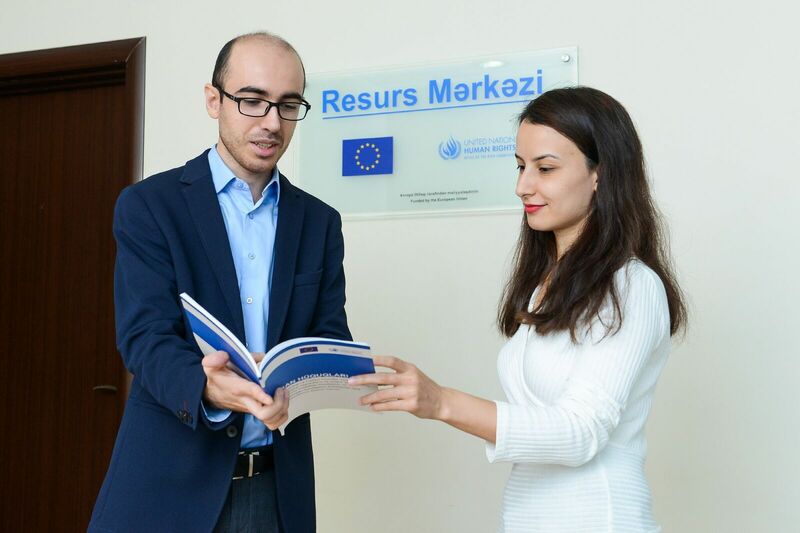 The Resource Centre, which is located in Baku and helps Azerbaijani citizens to solve their socio-economic issues free of charge, works within the framework of the “Enhancing the capacity of national actors in promoting and effectively protecting human rights” project. With a budget of €1 million, the project is funded by the European Union and implemented by the Office of the United Nations High Commissioner for Human Rights (OHCHR), a leading UN agency in the human rights sector. 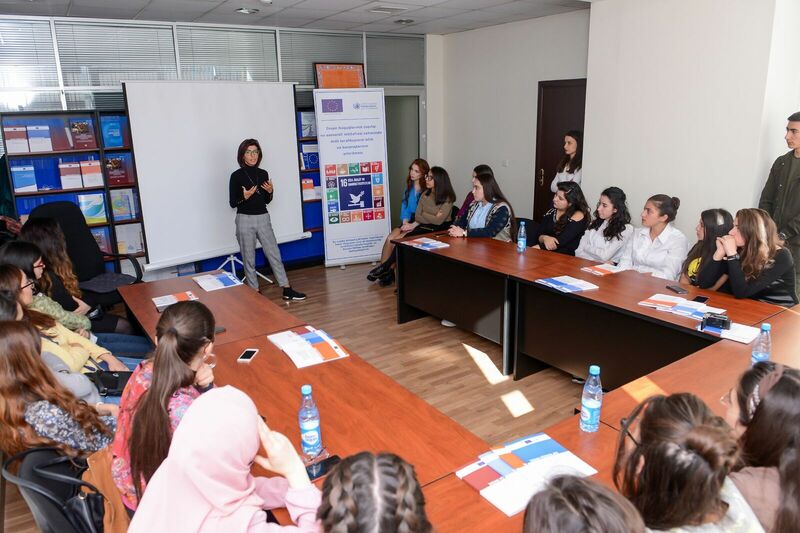 The project started in February 2018 and will run for three years in cooperation with the Commissioner for Human Rights of the Republic of Azerbaijan (Ombudsman). The Resource Centre provides a wide range of services including free legal advice and consultations, assistance to applicants in drafting lawsuits, motions and other documents necessary for court proceedings, assistance in preparing and submitting written requests to various agencies and court representation if necessary. It also offers space for various events organised by local non-governmental organisations that focus on human rights and legal aid and hosts training seminars for fledgling lawyers. The Resource Centre's main target audience is made up of economically disadvantaged citizens, people with special needs and pensioners. However, the centre's employees try to help everyone who comes to them. 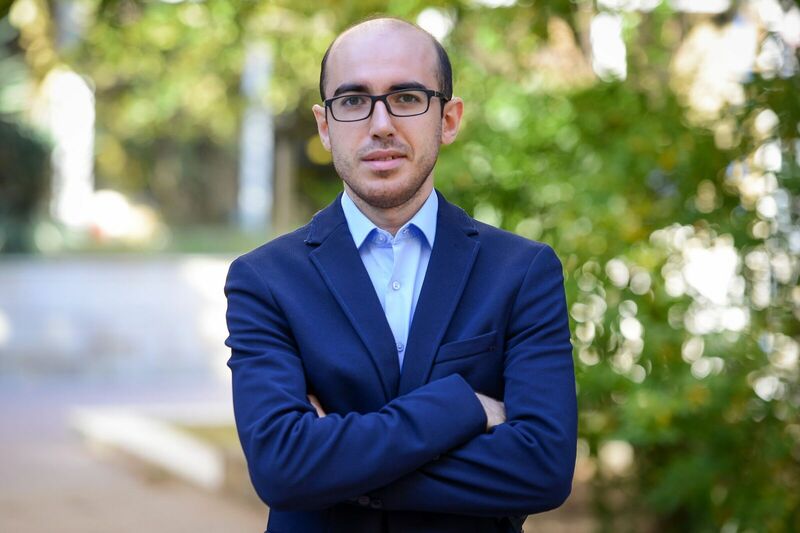 “Our principle is not to let anyone leave our office empty-handed,” says Tair Aliyev, one of the Resource Centre's lawyers and a member of the Azerbaijani Bar Association. Aliyev says that sometimes it takes only 15 or 20 minutes to explain to the person what rights they have in a specific situation, which agencies they need to contact and which documents to take with them. Many prefer to continue on their own after that. He says that there have also been cases when people have addressed the Resource Centre with requests that were unrelated to legal consultations. For instance, people have asked for help with treating their child or getting a job. “In such cases, we have to explain to people that they should address other agencies for that and we refer them there,” he explains. As it stands, 80% of cases dealt with by the Resource Centre's lawyers relate to social and socio-economic rights of citizens. These cases include targeted social assistance, disability benefits, restoration of people’s rights and property issues. The project covers all state tax fees for processing paperwork, court proceedings and so on. 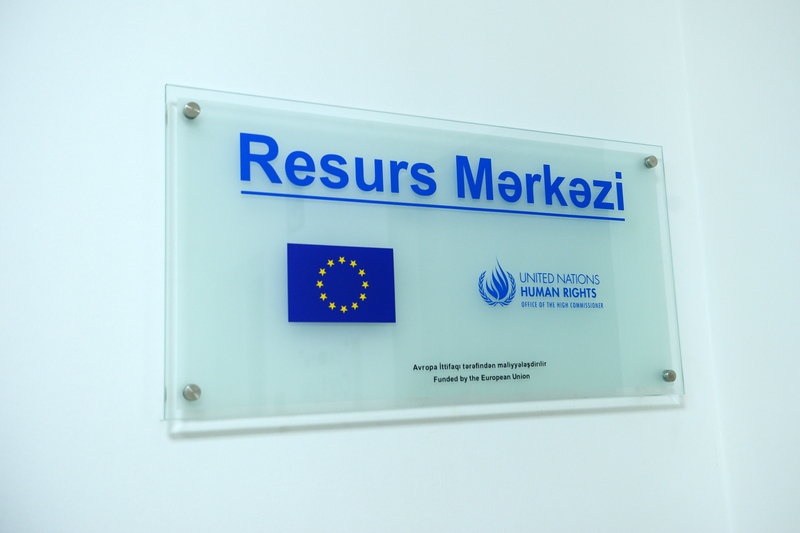 The Resource Centre is located in Baku, but its specialists regularly organise consultations in the country's regions. There were eight consultations in the regions between February and October 2018. Work in the regions is closely coordinated with the Ombudsman's offices, as well as the local offices of the country’s Bar Association. E.I.’s story is not the only success story of the Resource Centre. During its nine months of work, around 300 cases have been opened. Many of them are already complete. For instance, the centre's lawyers helped Aydin Mageramov, a retired man from Ganja, to eliminate debt that was registered in his name by mistake. The deductions he was supposed to pay to the State Social Protection Fund amounted to 500 manat (approximately €260), which is higher than an average salary outside the country's capital. Within a month, the Resource Centre's lawyers had the debt decreased to a tenth of its size. The centre’s lawyers are also helping Baku resident T.A. * to deal with accusations from her relatives that she did not let her sisters see their retired father. According to T.A., however, their father did not want to see them. “My sisters came to me with the police, accusing me that my father did not want to see them because of me. But I had nothing to do with it. It is his personal decision. I think that it is tied to the fact that my sisters did not keep some promises they gave him,” says T.A., without going into the details of their family relations. The Resource Centre's lawyers are helping T.A. to defend her innocence in court. 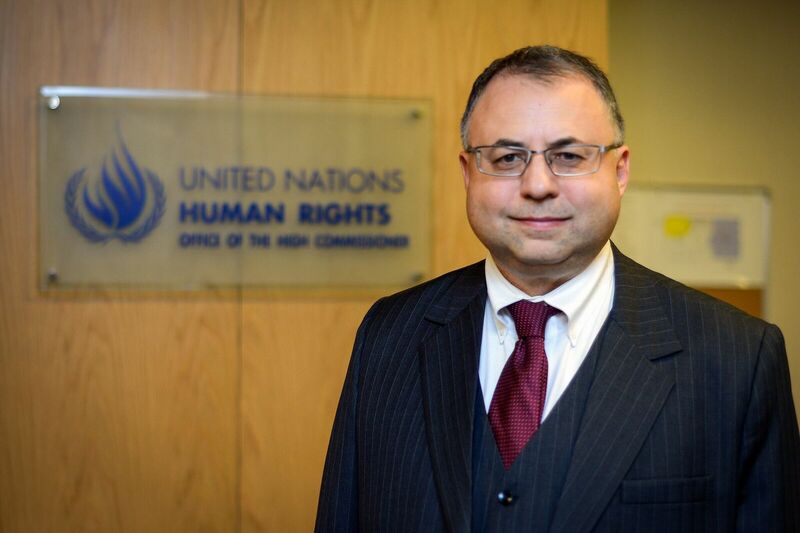 Chief human rights adviser of the OHCHR in the Southern Caucasus, Vladimir Shkolnikov, says that the project has two goals: to help vulnerable groups of Azerbaijani society to assert their rights and to promote a culture of providing free legal aid in the country. 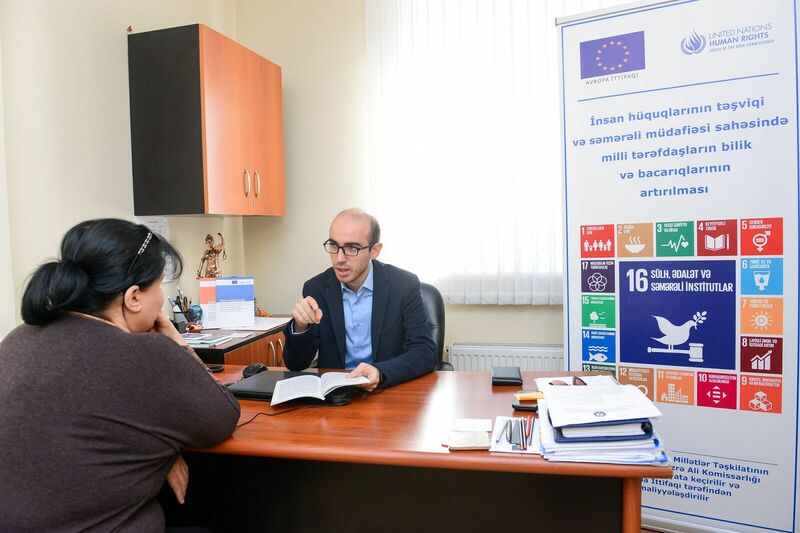 “The culture of providing free legal aid on civil cases to vulnerable groups of the population is only developing in Azerbaijan, and our project aims to promote this process,” he says. Shkolnikov cites the example of the pro bono system, popular in many Western countries, according to which law firm specialists have to work with vulnerable groups of the population for a certain number of hours free of charge. “Participating in the pro bono system provides a positive image and status to the company,” he adds, expressing his hope that the system will be established in Azerbaijan in the near future as well. 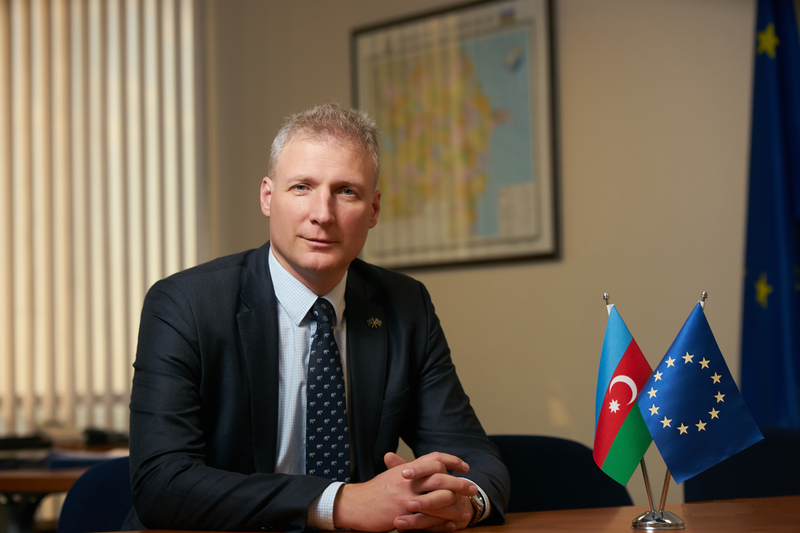 EU Ambassador to Azerbaijan, Kestutis Jankauskas, highlights that human rights are rights of each and every one of us, and they need to be protected, as they are an indispensable part of modern society. “We need to make sure that every person, particularly from vulnerable groups – people with less income, people with disabilities, pensioners – has an opportunity to defend his or her rights,” he adds. On 10 December the Universal Declaration of Human Rights celebrates its 70th anniversary. It was adopted by the United Nations General Assembly in 1948 and is the first global definition of rights enjoyed by all people without exception. The declaration confirms the dignity of each person, proclaims the universality and indivisibility of his or her rights. “All are equal before the law and are entitled without any discrimination to equal protection of the law,” the document says. It was adopted as a guideline for which all member states of the organisation should strive. Azerbaijan has been a fully-fledged member of the UN since March 1992. Main phone line: 051 500 08 58 (once a call is received to this number, the caller is called back so that he/she is not charged);Email: merkez.rc@gmail.com.